Young people bring vitality, energy and new ways of experiencing faith to our community. At UCH, youth experience a wide range of faith formation, service and worship experiences. Each Fall, Winter and Spring youth explore important aspects of faith formation on Sunday evenings. Topics have included world religions, ancient religions, Christian faith and practices, faith and social justice and environmental stewardship. In the Spring of 2018, groups will meet each Sunday from May 5th - June 2nd. Our sessions will be divided into middle school (grades 5-7) and high school (grades 8-12) with middle school meetings from 5:00pm to 6:30pm and the high school meeting 6:00pm to 7:30pm. An overlapping dinner from 6:00pm to 6:30pm is designed to gather everyone for fellowship. These classes are taught every other year for young people seeking a greater understanding and participation in their faith. 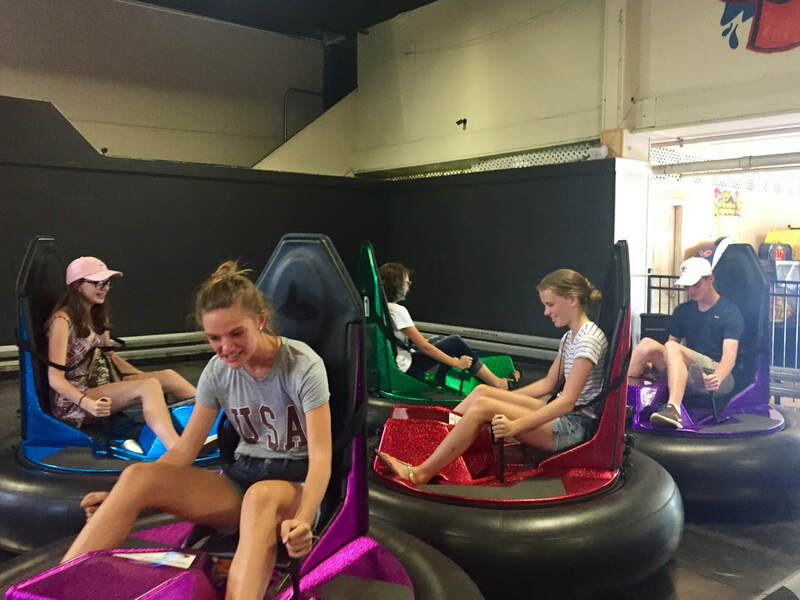 Trampoline Parks, Apple Picking, Movie Nights, Arcades, Game Nights, Salsa making, and Go Cart Racing are just a few of our monthly events at UCH. Every summer young people grades 8 and above go on a trip to explore key issues of our times. In 2016, a group of 10 young people traveled to New York City to explore Urban poverty and food insecurity and offer service. In 2017, 14 young people traveled to Boston to explore issues of environmental, animal and social justice. In 2018, 16 young people and 8 chaperones traveled to Puerto Rico to assist in recovery from Hurricane Maria. These young people work throughout the year to raise money for this trip by doing yard work and putting together fundraisers. These trips are religious for some but not all and young people from our wider community regularly participate. 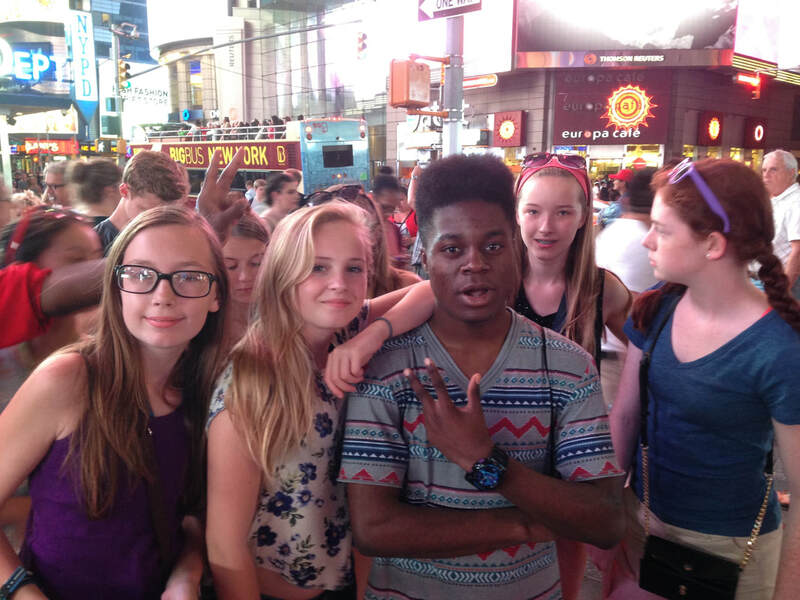 Times Square during the 2016 Youth Trip to New York City. Because youth group should be fun! 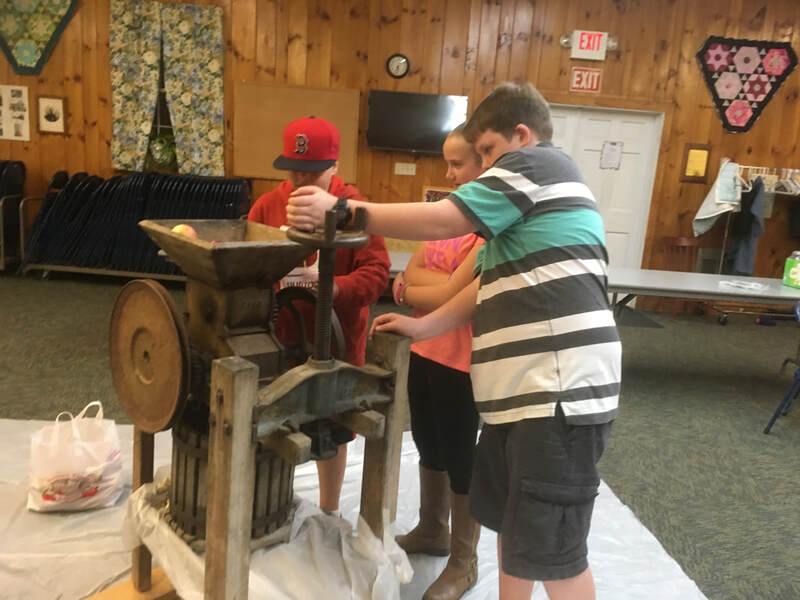 The communion education class making apple cider.